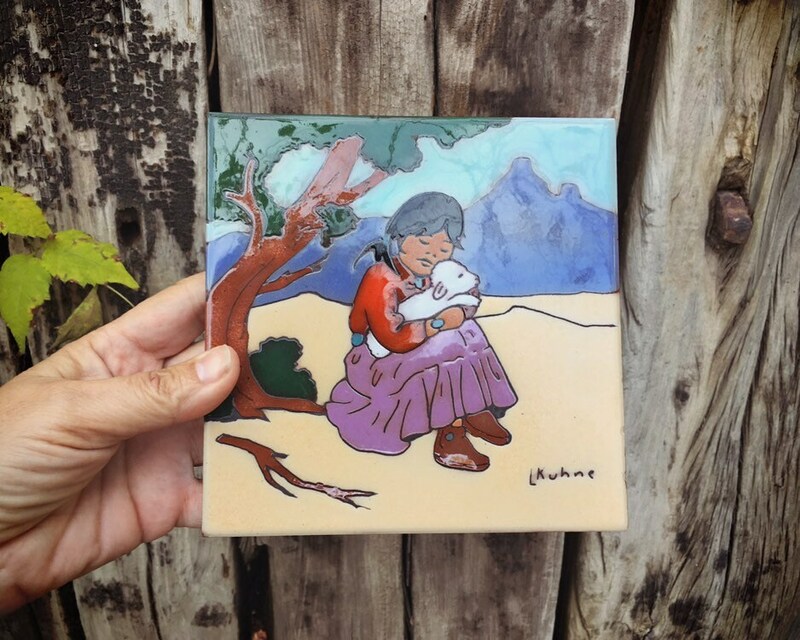 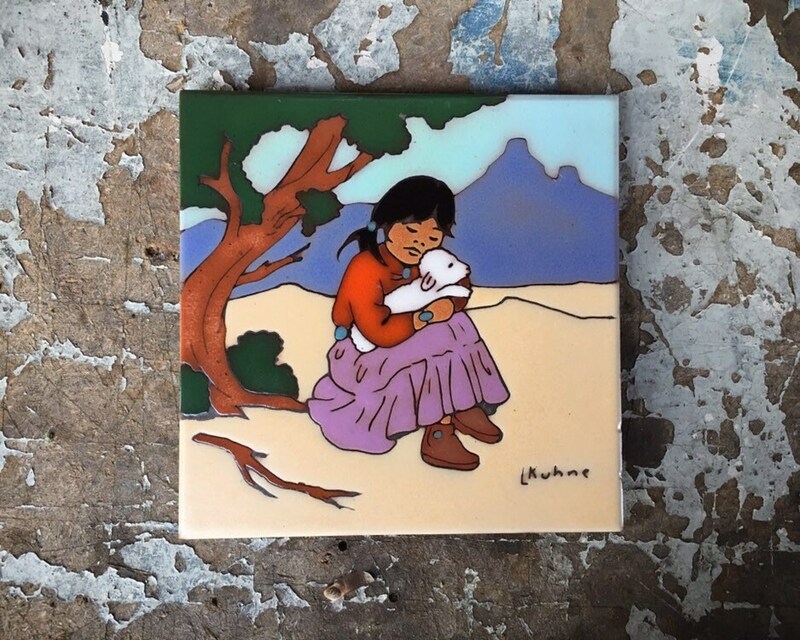 Here we have a beautiful Southwestern ceramic tile trivet featuring a Navajo girl holding a baby lamb, the girl dressed in traditional Navajo skirt and blouse with moccasins. 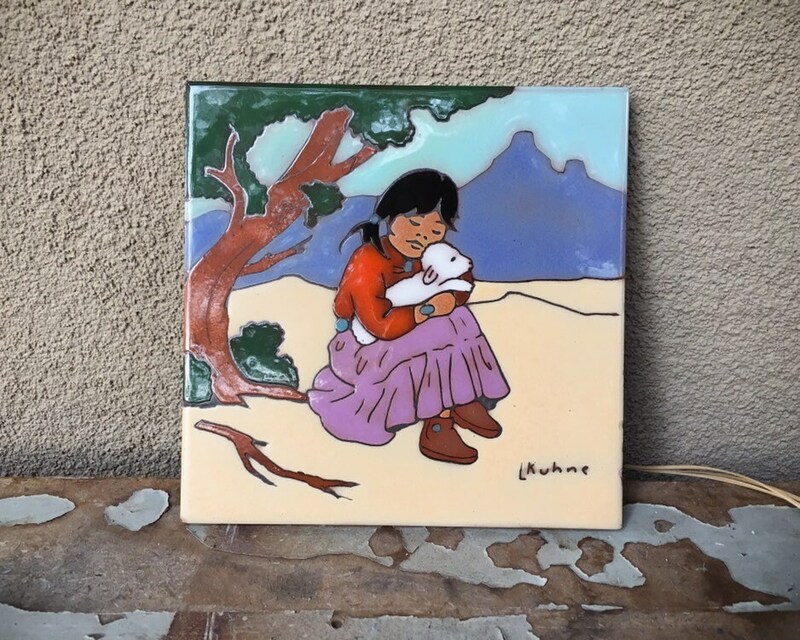 Such a sweet image, with the flat top mountains in the distance, so typical of northwest New Mexico. 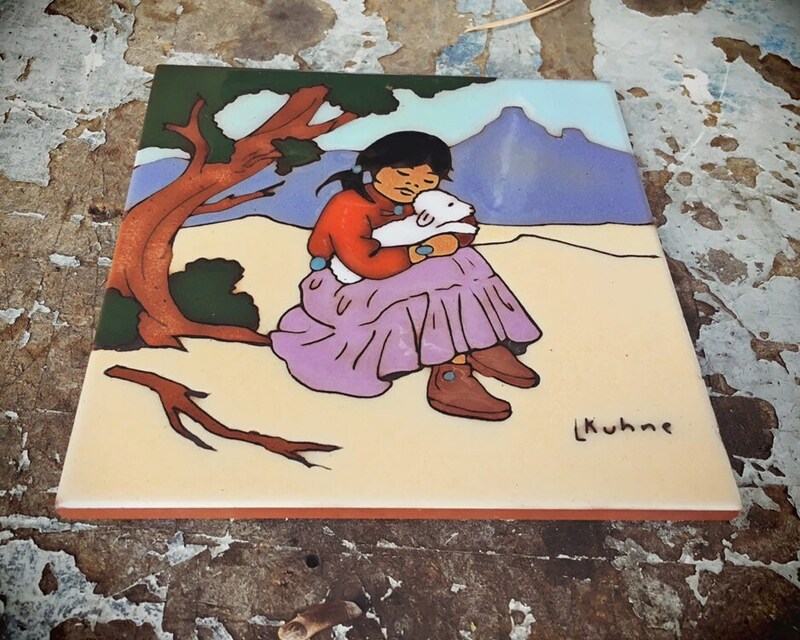 Signed by artist L Kuhne for Leone Kuhne, an artist who was pretty prolific in terms of Southwestern designs for ceramic tiles. 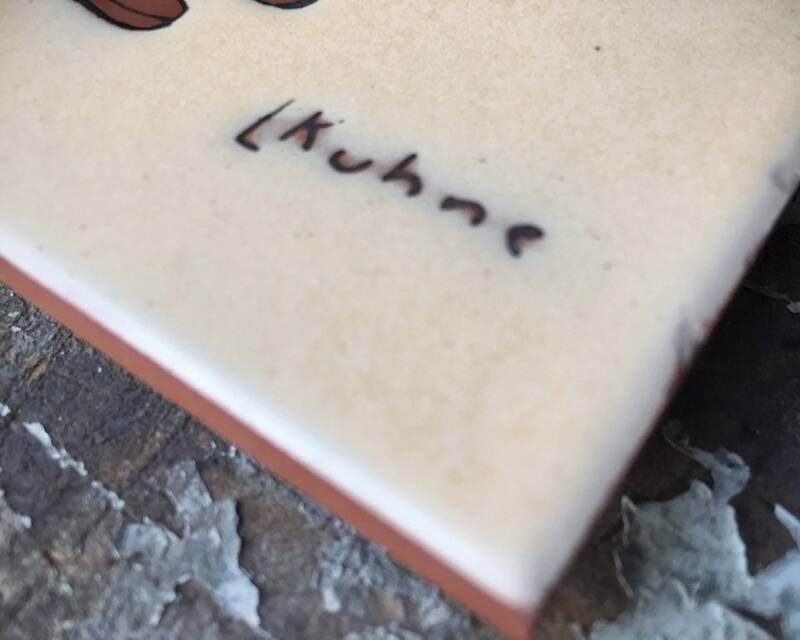 Measures just 6" square and just under 1/2" thick. 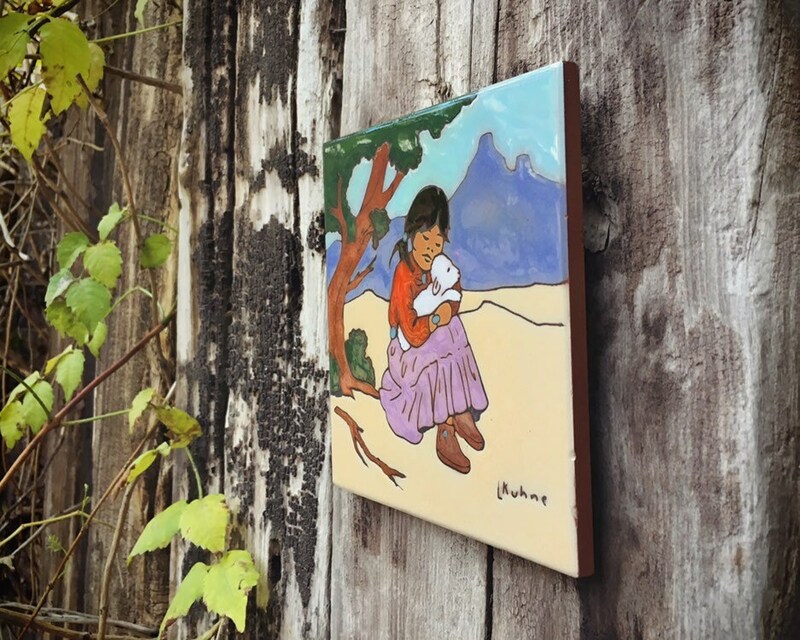 Small divot in the back for hanging but I would place on an easel or lean against a wall for support. 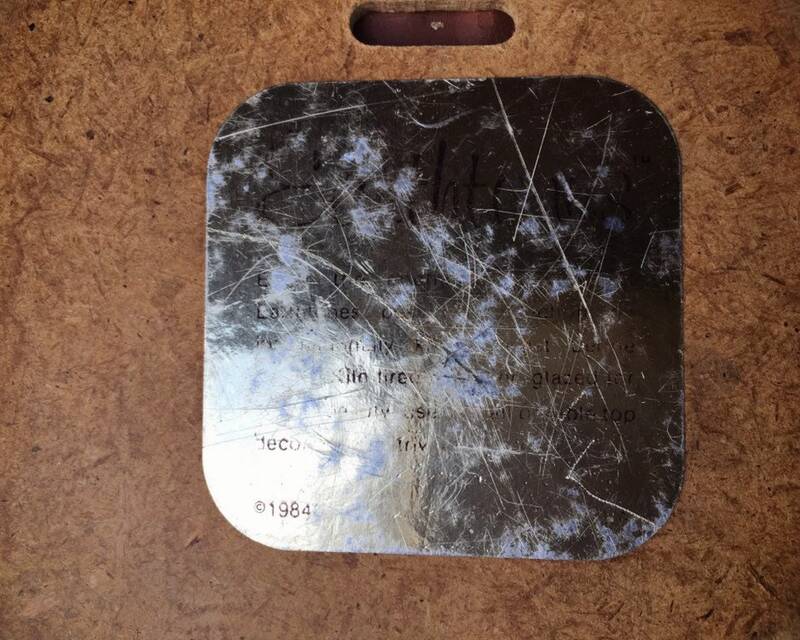 The back gold foil sticker is so scratched you can only make out the 1984 copyright date but the tile itself is in good condition. 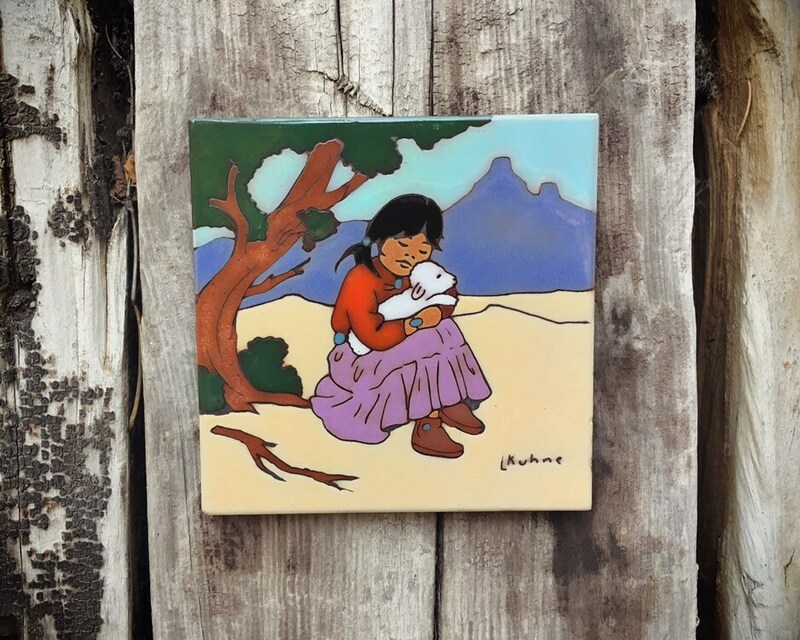 For the person who loves the Southwest!